Adaptive-ski instructors from around the world who are certified in using special equipment to enable skiers with disabilities to participate in skiing come together to lead workshops and experience Mt. Alyeska, Girdwood, Alaska. The Burning Man Festival: Founded on a small beach in San Francisco in 1986, has grown into an experimental community of 48,000 that comes together in the Black Rock Desert for one week before and including Labor Day Weekend with the help of 2,000 volunteers. The city is built around art themes and then completely dismantled, without leaving a trace. Work with Primates, Saugus, CA: Gibbon Conservation Center: Volunteer to assist with feeding, data collection, and maintenance. GCC is dedicated to the study and preservation of gibbons and educating the public about these endangered primates. Founded in 1997, a nonprofit educational center that teaches and applies skills of sustainable living and organic farming. Participants share a communal living situation and work together to raise awareness about people’s impact on the environment, to limit consumption of fossil fuels and other resources, and to encourage on-site production of foods. Trails and Rails, Seattle, WA: Klondike Gold Rush National Historical Park: This is a partnership program between the National Park Service and Amtrak for people who love history and the rails to deliver moving commentary aboard Amtrak’s Empire Builder and Coast Starlight train routes, between Memorial Day and mid-September. When traveling to new places, don’t just visit, get involved to experience the locale like a local! 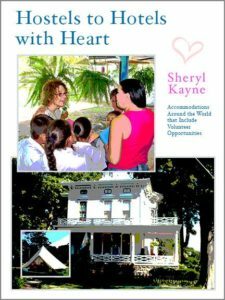 In this book, you will find more than 200 Immersion Travel Opportunities in five categories from the original Immersion Traveler™, Sheryl Kayne: Helping, Learning, Working, Caring, and Playing. Campground hosts are needed in State Parks around the country to welcome campers, educate them about the park facilities and regulations, answer questions and assist visitors in planning their activities. Blacksmithing, banjo picking and arbor sculpture are but a few of the hundreds of arts and crafts classes taught at the John C. Campbell Folk School in Brasstown, North Carolina. Ski Taos hires lift operators, shuttle drivers and helpers in all the hotel services seasonally Taos Ski Valley, Inc, Taos, New Mexico. I found loads of great seasonal jobs, which are included in Immersion Travel USA, applied for five positions, was offered three, and accepted a summer position as the breakfast/lunch cook at Stehekin Valley Ranch in Stehekin, WA, a wilderness recreation area accessible only by air, foot or water. What an adventure! Yes, that’s me making the cowboy coffee at 5:00 A.M. over a wood fire. Lynn raised $4000 and biked 3,682 miles from Virginia Beach, VA to Canon Beach, OR with 26 people to participate in Bike and Build’s cross-country trips to benefit affordable housing projects along the route, learning the history of each place, and working together with local volunteers. Balloonists come from around the country to participate in the Alabama Jubilee Hot Air Balloon Festival held annually over Memorial Day along with the Decatur Arts Guild Arts and Craft Show, Tennessee Valley Tractor and Engine Show, classic car show and live entertainment from local artists. 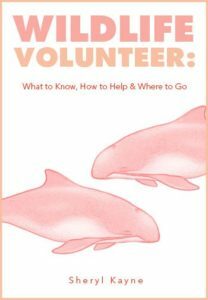 The event is free and attendees are encouraged to volunteer to help out as part of the event. From the first day of school, Mrs. Evan’s third-grade class lined up by their windows to watch the special-needs students arrive at Lafayette Elementary School. Danni tried hard to stop the mean things some kids said but they shouted her down and shut her up, until the day she figured out how to be heard, remembered, and never forgotten again. (Theme: Accepting other people. Ages 5 through 10). Waking up too early in the morning is a universal problem for many young children and their parents. This book explores the childhood solutions to when the body clock just doesn’t jive with the rest of the world; fortunately, the moon’s magic messages demonstrate how to best enjoy the night and welcome the morning sun. (Theme: Learning new skills. Picture book through age 8). This read-aloud picture book portrays Melissa and her rather explosive behavior. 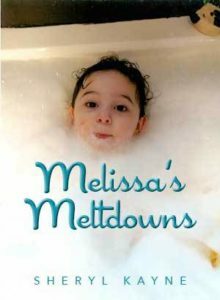 It doesn’t take much to melt Melissa down, but she’s resilient, resourceful, and forever bouncing back. (Theme: Meltdowns. Learning new skills. Picture book through age 8). Celebrate Grandmas & Grandpas in Life and Literature! Throughout great literature, storytelling, and living our lives, Grandmas and Grandpas have provided us with love, support, understanding, encouragement, and a connection to our culture and previous generations. 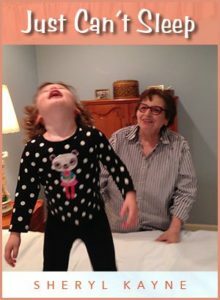 This E-book (also available in paperback) was built upon children’s stories and names for that special “Mommy’s Mommy” and “Not Really My Grandpa.” I never knew so many grandparents names were created by grandchildren! 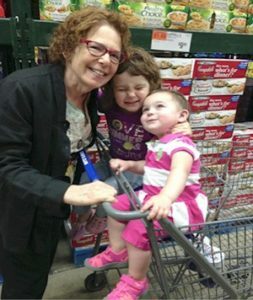 A two-year-old was shopping with his mom and grandma in Target when his Mom turned around and saw him standing there alone, “Where’s Grandma?” He began yelling, “Connor! Connor! Where are you? Mommy wants you, Connor.” There’s a great story behind this name and it opens up the book, Grandmas and Grandpas by Many Other Names. 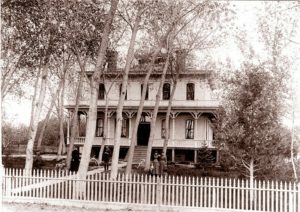 Hygiene, Colorado received its name from the Hygiene Home opened on April 13, 1883 for its first season. People with tuberculosis came to the Hygiene Sanitarium to recuperate in the clean mountain air, drinking the rich mineral water supplied by the springs on the property, and receiving treatments with locally grown mountain sage. The large, impressive building served as a sanitarium for eight years, then a hotel, an orphanage and family residences before being demolished in 1926. However, the beauty of fiction is that in the upcoming novel, Hygieia Land, the Hygiene Wellness Center very much exists in the Hygiene Sanitarium’s original location. 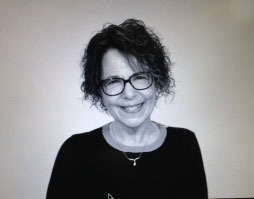 Hygieia Land is the story of eight women who meet online in a support group for parents and primary caregivers of children with mood disorders and behavioral and emotional issues. After six months of serving as their own nightly online support group, the women decide to meet face-to-face in Hygiene, Colorado to figure out if and how to merge their families into one supportive community on Hilary’s horse ranch in Hygiene, Colorado. 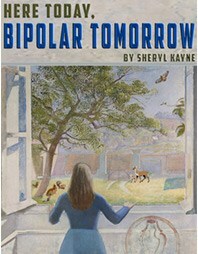 Here Today, Bipolar Tomorrow. One hour after she received her driver’s license, sixteen-year-old Leeza Jasper pushed the accelerator of her father’s new BMW to ninety miles per hour to embrace the two-hundred-year-old weeping willow tree in the center of Westport, Connecticut’s sedate Town Green. After years of imagining what it would be like to wrap a car around a tree, she finally knew. A three-week hospitalization to heal her body was followed by seven weeks in a mental hospital in Westchester County, New York to evaluate, analyze, and medicate her brain. Here Today, Bipolar Tomorrow is Leeza’s story of what life is like after being diagnosed with mental illness and experiencing a mental hospital. Her father can’t deal with it. Her mother refuses to give into it. Her sister runs away from it. Leeza’s greatest allies are the friends she finds online and the wildlife she comes to know and love surrounding her home. Queen of the Kisses. The kiss alarm siren squeals “Help Kiss! Help Kiss!” when word arrives that Emily’s kisses have all dried up in New York City. Queen Theresa boards her kiss mobile with its full supply of biodegradable flying kisses to restore Emily’s kiss ability. (Theme: Love, Hugs, and Kisses. Picture book through age 8). 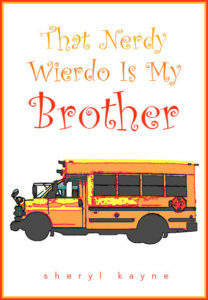 Personalized and Autographed copies available in the store. 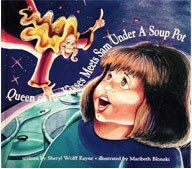 Queen of the Kisses Meets Sam Under a Soup Pot. Grandma has a plane to catch from Chicago to Florida. Sam knows that Grandma cannot possibly leave until she kisses all of her grandchildren goodbye—which is exactly why Sam hides under a soup pot. 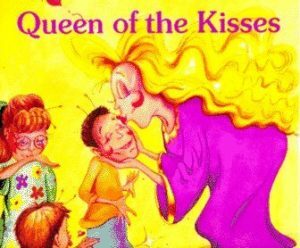 No kiss, no go, granny-o, until Queen Theresa flies in to save the day. (Theme: Love, Hugs, and Kisses. Picture book through age 8). Here you will find worldwide wildlife adventures and opportunities for animal lovers to immerse in meaningful, grass roots and authentic projects in the United States and globally. There are trips for every budget, including tax deductible, trades, and dream adventures of a lifetime to add to your bucket list. Learn about the multitude of accommodation around the world that includes a volunteer component partnering with and supporting the local communities they serve: planning and arranging activities, providing opportunities for guests to get to know and work with local residents, staff, and other travelers, to experience the homegrown culture and lifestyle in the USA and around the world.